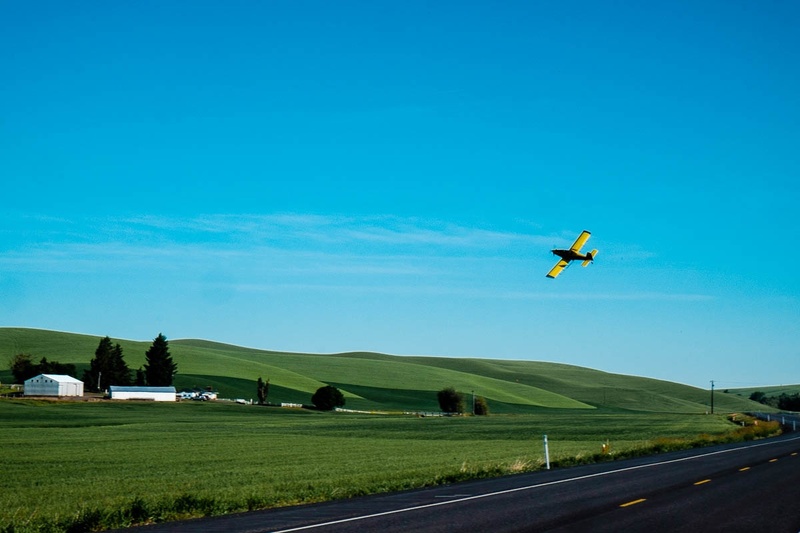 We were driving back towards our hotel and town for breakfast in the Palouse when several of us spotted this crop duster. We pulled over and scrambled to grab some shots while it went through its patterns. It was tougher than I thought. While not very fast as planes go, its movements, though structured, were hard to anticipate. My first review of my images didn’t turn up anything I liked, and I was a bit surprised to notice this as I scanned the images from that day looking for something from a different location.